AVD was instructed by the client of the land to prepare a Feasibility layout to help with a land appraisal to determine the land factors and likely costs involved. This determined the land value prior to placing the land on the market for sale. 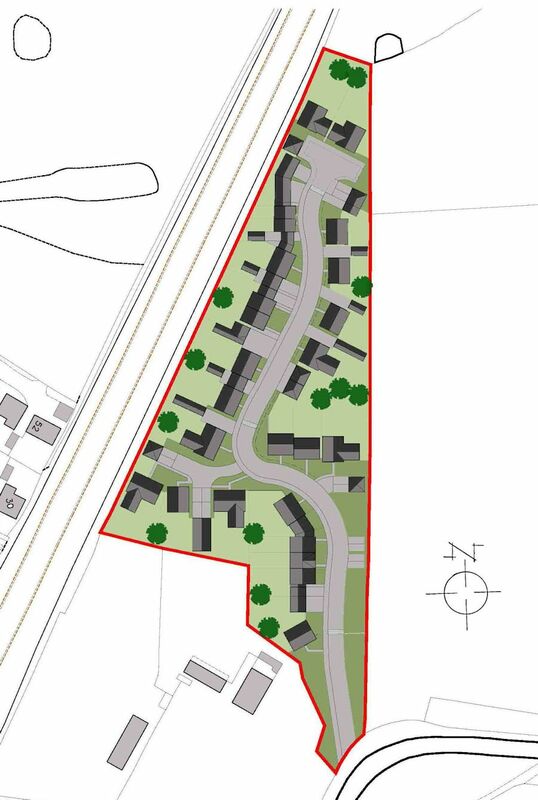 The land is currently grazing land which is accessed by an existing access serving the existing dwellings. There is an existing un-used railway line on the Western boundary, Golf course on the Northen boundary and open fields on the Eastern boundary. The land was of a tiangulated form which created a constraint to the Northern section of the land but was key to design in as part of the layout dwellings to look over the Golf course.